The kudu is a true giant of the bushveld. Their grey-brown hides are marked with several vertical white stripes along the sides of their massive 210 kilogram bodies. Male kudu sport impressive beards and spectacular corkscrew horns – the longest recorded reaching 1.8m in length – making these majestic antelope one of the most easily recognizable in South Africa. 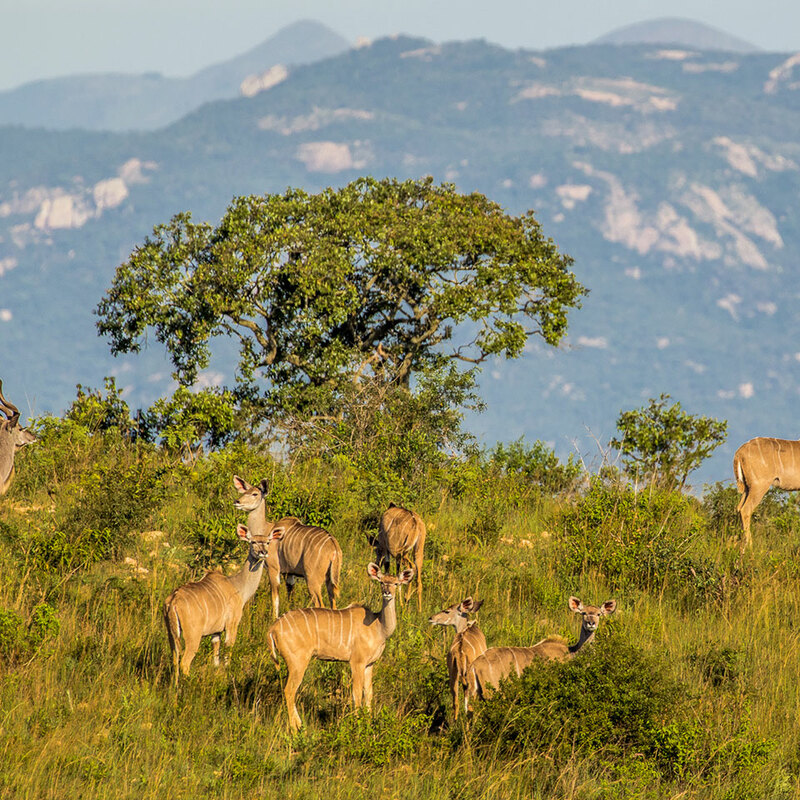 While very nimble over rocky terrain, due to their size kudu tend to be slow in open grassland which makes them easy targets for predators. They prefer bushy terrain and rely on their amazing 3-meter-high leaping ability to escape danger. The hornless kudu females move around in small groups of up to 10, whereas males tend to be solitary. They are particularly vocal animals and communicate using a series of barks and grunts. Did you know? The logo of South African National Parks consists of the silhouette of a kudu bull.